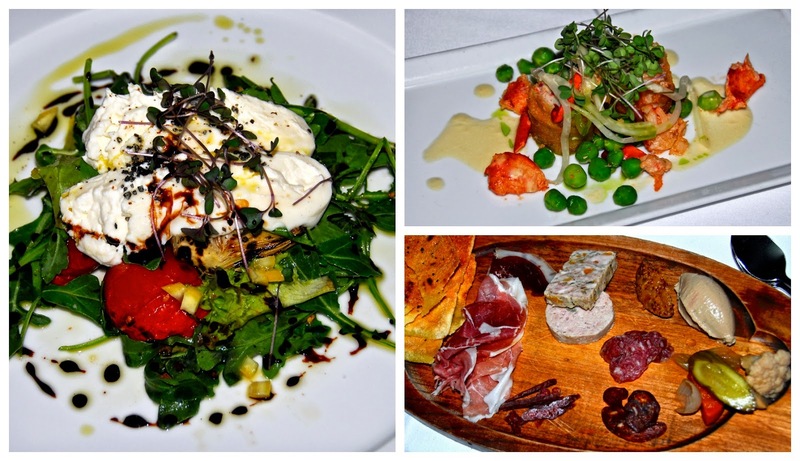 The Weekend Gourmet: A Food Lover's Weekend In Ohio Part II...Three Days in Cleveland! A Food Lover's Weekend In Ohio Part II...Three Days in Cleveland! After our visit to Frank Lloyd Wright's iconic Fallingwater in Pennsylvania, we headed to Cleveland for the second half of our Ohio vacation. Our stay included dining at a pair of Cleveland’s best restaurants, as well as a two-part visit to the Rock and Roll Hall of Fame and Museum. We arrived in Cleveland for a three-night stay at The Ritz-Carlton Cleveland and were warmly greeted by the friendly valet. This luxury hotel's convenient location is within walking distance of several of Cleveland’s most popular attractions. We checked in and were very happy with the spacious layout of our room. We believe that the extra touches really help a property stand out – and Ritz-Carlton evidently does too! We were delighted to find a fun – and tasty – chocolate display welcoming us to Cleveland when we first entered our room. We settled in our room and freshened up a bit. We were feeling a bit hungry by then, so we decided to grab a few appetizers from the lounge on the hotel's Club Level. 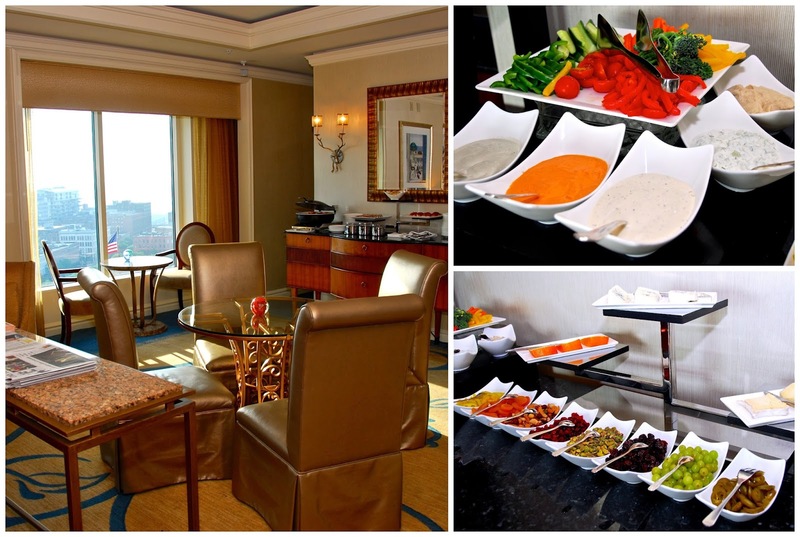 Guests staying on the Ritz-Carlton's Club Level receive a number of exclusive amenities and upgrades. This includes daily food offerings, access to the Club Lounge Concierge, relaxing sitting areas, and gorgeous city views. In addition to several daily hot and cold food offerings, the Club Lounge provides Club Level guests a 24-hour beverage station and a fun sweets display. Anytime we felt like having coffee or tea, sodas, a glass of wine -- or just a little sweet treat -- it was right there waiting for us. Talk about luxury...and convenience! 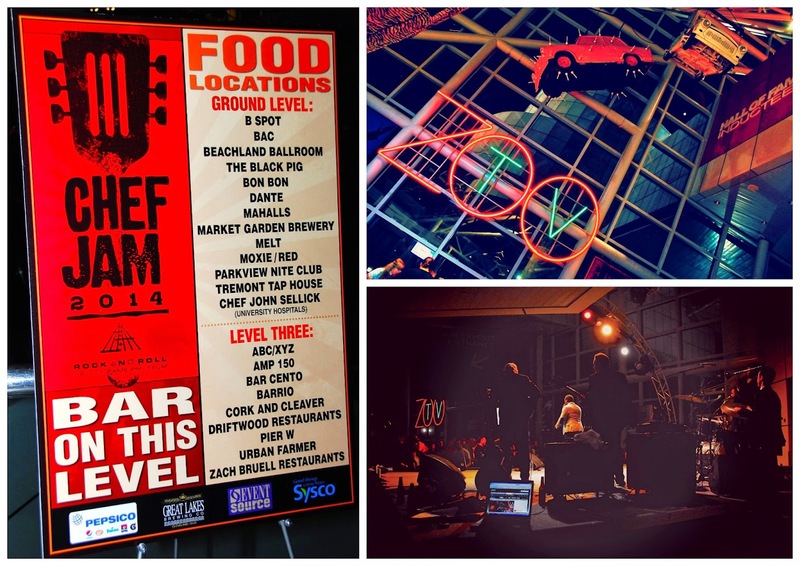 That evening, we attended the annual Chef Jam at the Rock and Roll Hall of Fame. This popular event features live music, after-hours admission to the Hall of Fame, and lots of delicious food and cocktails from some of Cleveland’s best chefs. If you're wondering why the Rock and Roll Hall of Fame is located in Cleveland, I can shed some light on that. Cleveland disc jockey Alan Freed coined the term "rock and roll" starting in 1951. That makes Cleveland the official birthplace of rock 'n roll! 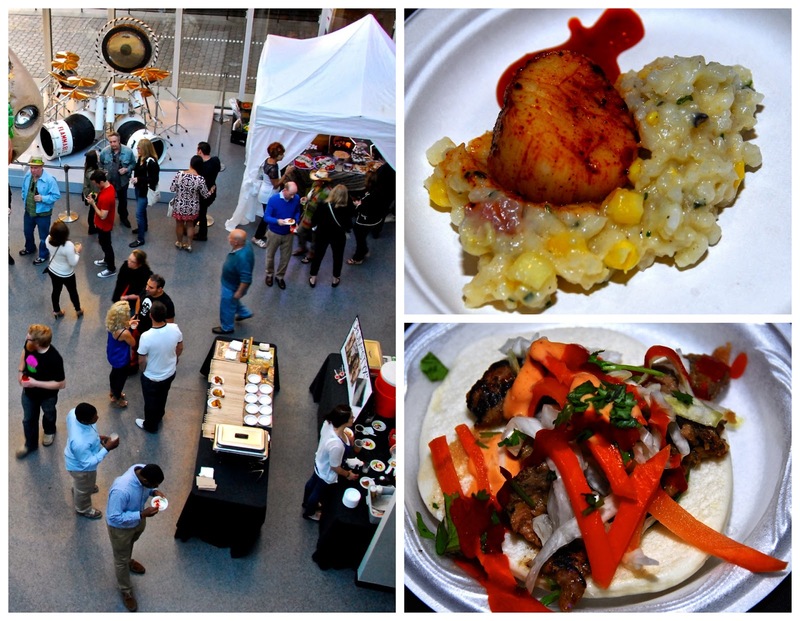 We had a great time sampling bites of amazing food, sipping cocktails, and enjoying the eye-popping displays in the museum’s vast collection. For rock music fans like us, it was truly a an amazing experience. We saw several exhibits that evening, including a Les Paul exhibit about the history of the electric guitar. We're huge U2 fans, so we loved seeing some of the stage props from the Zoo TV tour on display. After Chef Jam was over, we headed back to our relaxing room at the Ritz-Carlton and settled in for the evening. We spent the next day catching up on some much-needed rest and exploring the area surrounding the hotel. For sports fans, the Ritz-Carlton is literally around the corner from both Progressive Field (where the Indians play baseball) and Quicken Loans Arena (home to LeBron James’ Cavaliers). Located directly adjacent to the Ritz-Carlton is Horseshoe Casino and Tower City Center's shopping and restaurants. Of course, an afternoon visit to the hotel's Club Lounge Sweets Bar for a freshly baked cookie was part of our itinerary too! Before we knew it, it was time to get ready for dinner at Dante, Chef Dante Bocuzzi’s namesake New American restaurant. Our dining experience at his dba in Akron the previous weekend was amazing, so we were eagerly anticipating this dining experience as well. 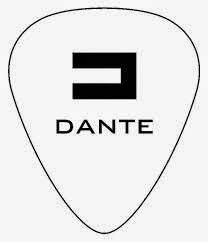 Dante is located in the Tremont neighborhood of Cleveland, about a 10-minute drive from the Ritz-Carlton. We were seated at a very unique table located inside a former bank vault. We started our meal with expertly prepared cocktails and a trio of shared starters. First up was Dante's signature Maine Lobster Spring Roll, which was fried perfectly crisp and featured a generous amount of sweet lobster. We also shared a selection of fantastic house-cured meats, including: salumi, prosciutto, a terrine, and creamy liver mousse. The charcuterie platter was served with house-made herbed flatbread crisps and tart pickled vegetables. Even those of us at the table who don't normally eat liver loved this decadently rich mousse. Rounding out our trio of starters was a lovely salad topped with fresh burrata and oven-roasted tomatoes. The tart balsamic reduction drizzled on the salad paired perfectly with the creamy cheese and sweet Summer tomatoes. All salads should be this perfect. Chef Bocuzzi came out from the kitchen while we were enjoying our starters to greet us personally and go over the rest of his menu with us. He was such a gracious host! The next items Chef Bocuzzi sent out from the kitchen were a duo of house-made pasta dishes, as well as his creamy polenta. 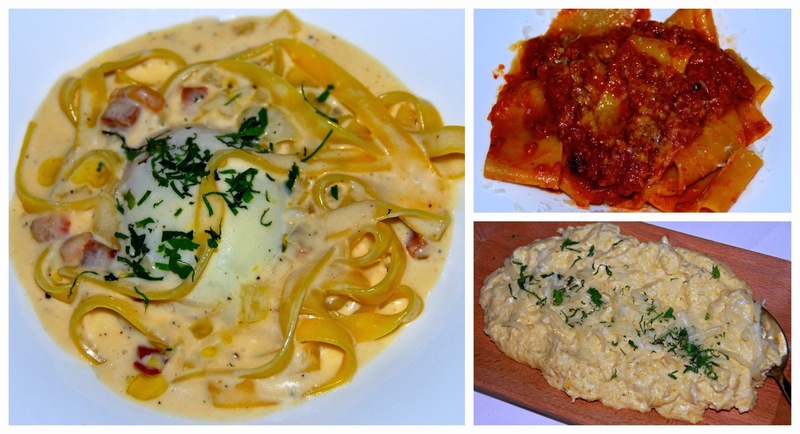 We sampled rich Linguine alla Carbonara, comforting Pappardelle Bolognese, and decadent Three Cheese Polenta. The fresh, handmade pasta was divine. The carbonara at Dante is without a doubt the best I’ve ever tasted. This version features a perfectly poached egg and house-made pancetta. Just before eating, you break the egg up, letting the rich yolk incorporate into the dish. The end result was out of this world! The bolognese was sublime too, made with beef, veal, and pork. It was like my Italian grandma would make -- if I had one! Everyone at the table was smiling with delight after each bite of these pasta dishes. The rich, creamy polenta was flavored with mascarpone, parmesan, and gruyere. We would've been satisfied with these three dishes as our entrees, but Chef Bocuzzi sent out two meat dishes for us to try as well. Perfectly seared beef was served with mushrooms and a rich demi glace. We also sampled a perfectly seared duck breast served over a complex wine sauce. For dessert, our group of shared some of pastry chef Kayla Palmisano's beautiful and tasty offerings. 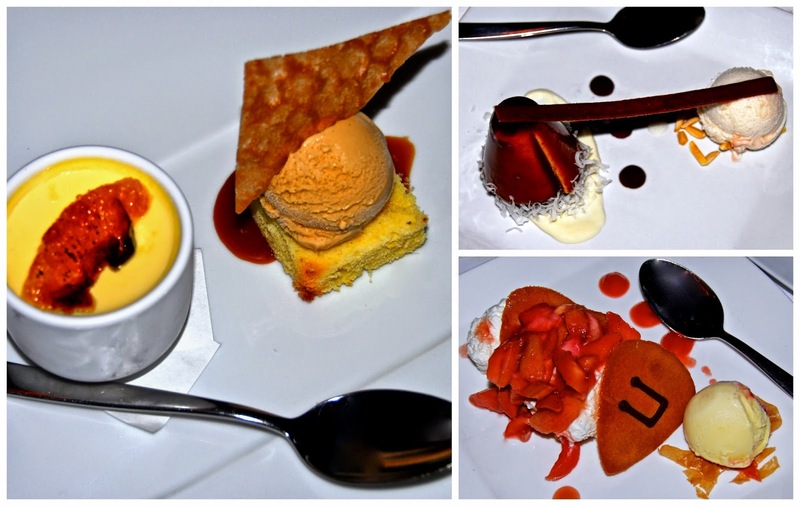 All three dessert offerings featured intense flavors and inspired textures. One dessert featured tangy rhubarb, which I had never tasted before. It worked really well combined with ripe strawberries, then served with a crisp wafer and creamy ice cream. The Orange and Caramel Petite Pot combined caramel ice cream atop orange pound cake, rich caramel sauce, and a tangy orange pot de creme. The refreshing citrus was balanced very nicely with the rich caramel flavors on the plate. Our final dessert was Almond Joy-ful...a coconut lover's dream come true. This creative dessert featured creamy coconut white chocolate mousse, dense chocolate cake, and coconut almond sorbet. Bliss! With that, our dinner tasting was complete. We headed back to the Ritz-Carlton stuffed and happy…eagerly anticipating our day-long visit to the Rock and Roll Hall of Fame the following day. The next morning, we enjoyed breakfast at the hotel's beautiful Muse restaurant. 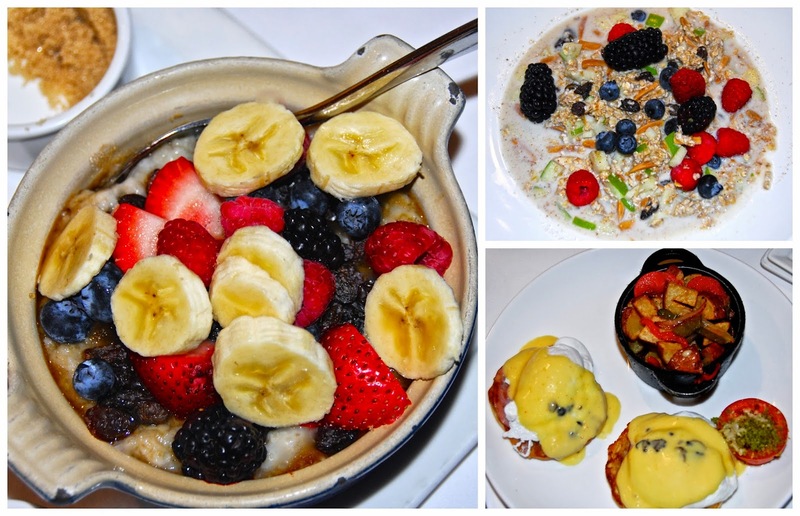 Muse's breakfast menu features a variety of hot and cold selections. I selected McCann's Irish Steel Cut Oatmeal, which was served with brown sugar, raisins, bananas, and fresh berries. It was the perfect way to fuel my busy day! Michael opted for Classic Eggs Benedict. Our breakfast companion's Swiss Bircher Muesli -- served with nuts, apples, and fresh berries -- was so colorful and gorgeous that we couldn't resist snapping a picture of it! After fueling up with breakfast, we picked up our car from the valet and headed to the Rock Hall – a short 5-minute drive from the Ritz-Carlton. We spent the majority of the day checking out the various exhibits and soaking in all of the rock and roll history and memorabilia that’s literally around every corner. If you’re a fan of Elvis, The Beatles, Rolling Stones, or Jimi Hendrix – you’re especially in luck! 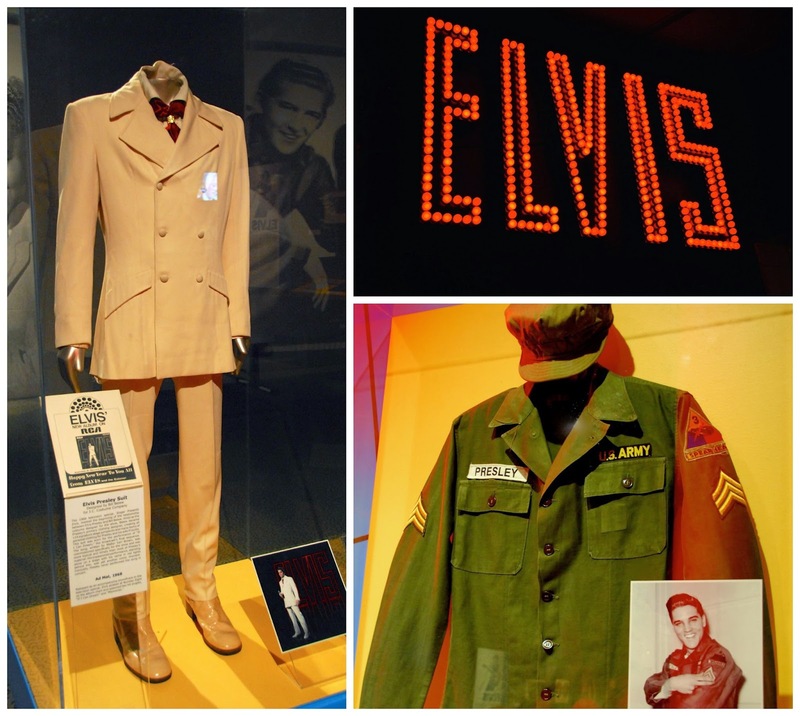 Large collections of their personal effects, costumes, and correspondence have permanent displays at the Rock Hall. 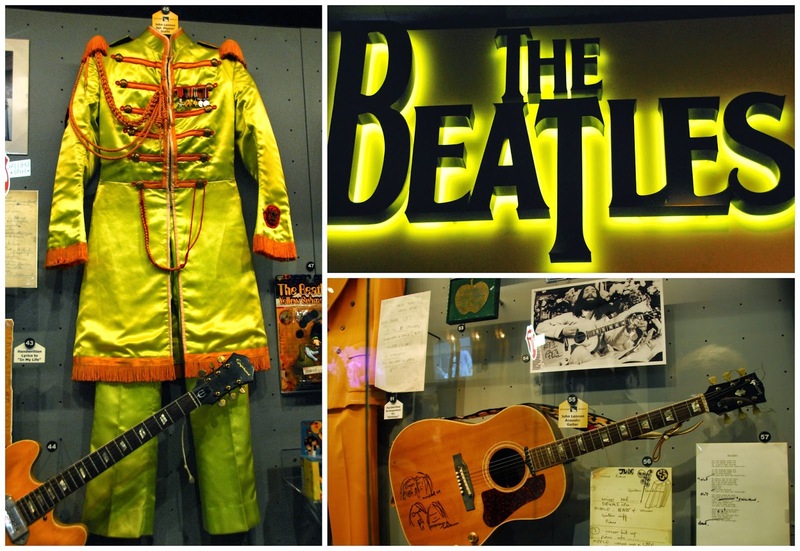 The Beatles are our favorite band, so it was a mind-blowing experience to see John Lennon's actual Sgt. Pepper suit and the original handwritten lyrics to In My Life. We had a fantastic time exploring every floor of the Rock Hall. We were there for about 5 hours -- that's after spending 2-3 hours visiting exhibits during the Rock Jam event. True music lovers will likely want to devote 6-8 hours to fully explore everything the Rock Hall has to offer. If you get hungry during your visit, the Rock Hall Cafe offers casual food -- and make sure to leave a pocket of time to visit the gift shop! We made our way back to the Ritz-Carlton to get ready for our final dinner in Cleveland. Urban Farmer is a popular restaurant in Portland, Oregon. This Summer, they opened a second location in Downtown Cleveland. 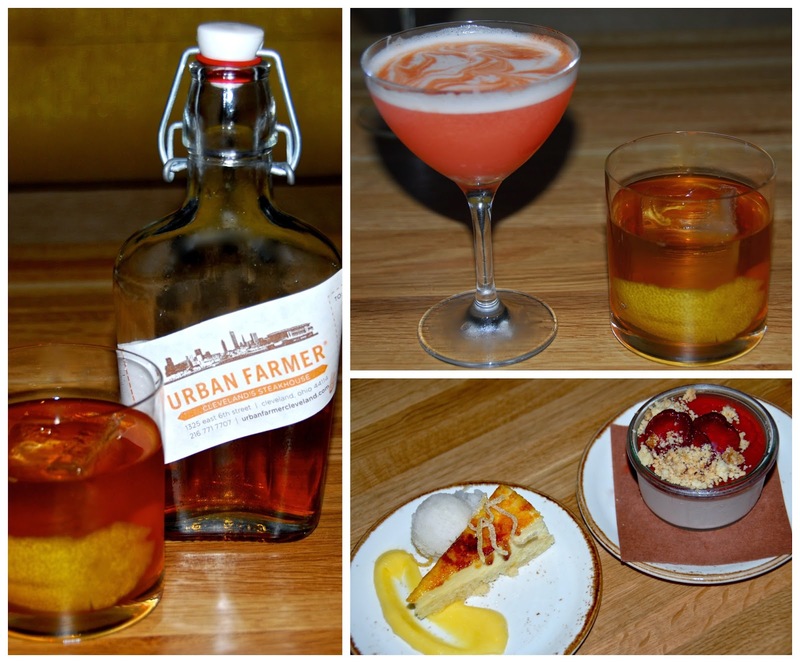 Urban Farmer Cleveland is a modern steakhouse. We arrived and were quickly seated in the spacious open-concept dining room. We began our meal with a custom cheese plate composed specifically for Michael and I by the restaurant's resident cheese expert. He wheeled a wooden cheese cart table side, then asked us what type of cheeses we liked. Based on our responses, he hand-selected cheeses that appealed to our palates. 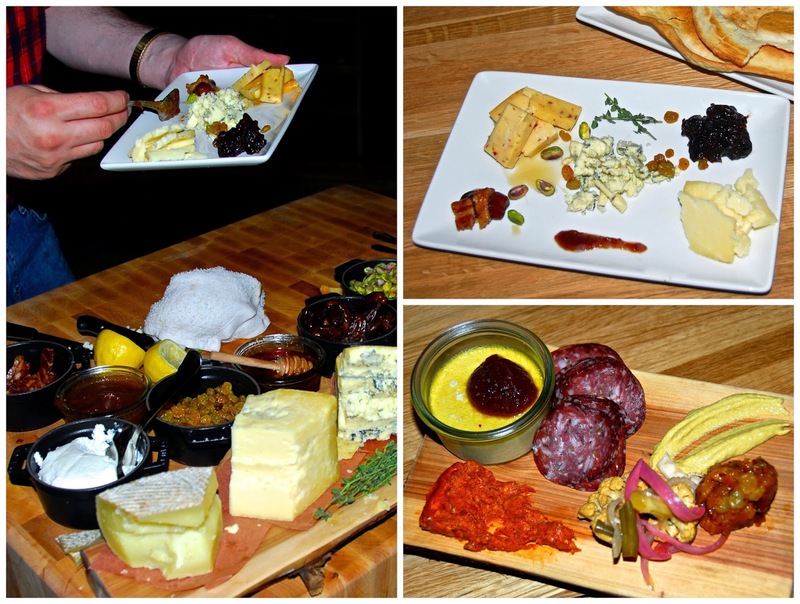 He paired our cheese trio with honey, nuts, fresh thyme, and other accompaniments. It was an educational -- and delicious -- experience. To go with our customized cheese plate, we sampled a selection of their excellent house-made charcuterie and pickled vegetables. Our meal was off to an excellent start! The next item from the kitchen was Charred Octopus served with cucumber yogurt and lemon confit. 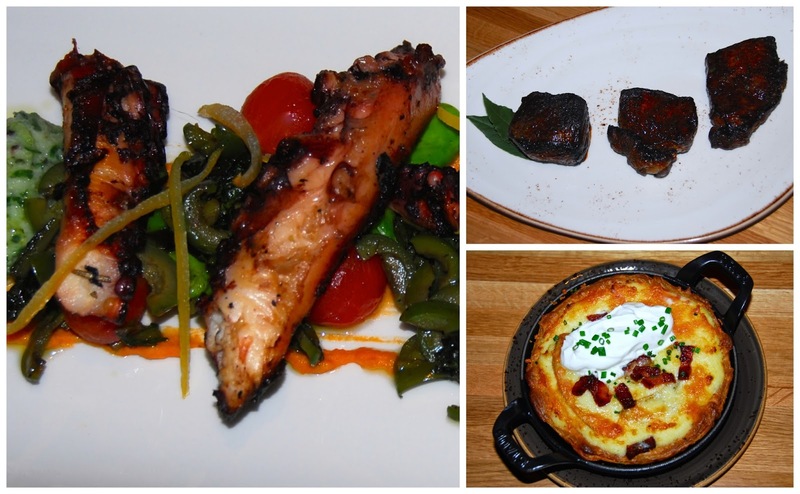 If you've not had octopus before, it's especially delicious grilled over wood. It's smoky and meaty, so don't be afraid to try it the next time you get a chance. 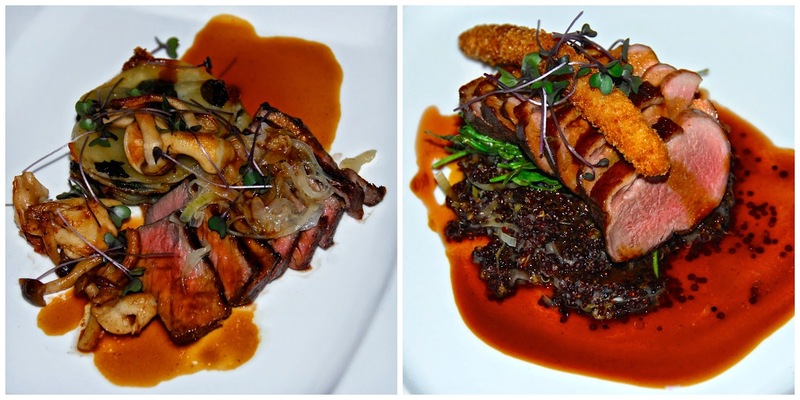 Since Urban Farmer is known for its steak, we decided to try the New York Strip Steak Tasting. This plate contained 6-ounce portions of three types of steak: White Oak grass fed, Creekstone corn fed, and Ohio Proud 21-day dry aged. If you think all steak is the same...this tasting will definitely change your mind! Each piece of steak had distinctively different textures and flavors. The manager told us that there is no one "best" steak, only the one whose flavor and/or texture you prefer. Michael and I both agreed that the dry aged beef was a bit chewy for our taste, but it had the most intense "beefy" flavor. We found the grass fed steak to be the most tender and juicy, making it our personal favorite. This tasting was a really fun experience! To go with our steak, we shared a Twice-Baked Fingerling Potato Tart with Aged Cheddar. Every bite was creamy, with tons of melted cheddar. To end our meal on a sweet note, we shared a duo of desserts and a nightcap. With that, our amazing dinner at Urban Farmer Cleveland was over. We made our way back to the Ritz-Carlton and fell into our comfortable bed, full and happy. Our flight back to Texas was early the next morning. The Club Lounge puts out a wide variety of breakfast items very early in the morning, so I was able to grab yogurt, fruit, and granola bars for us to eat before we headed to Akron-Canton Airport. Before we knew it, our rental car was returned and we were boarding a plane for home. We had a fabulous time exploring Ohio and Pennsylvania, and we look forward to a return trip to experience even more of what this great area has to offer! 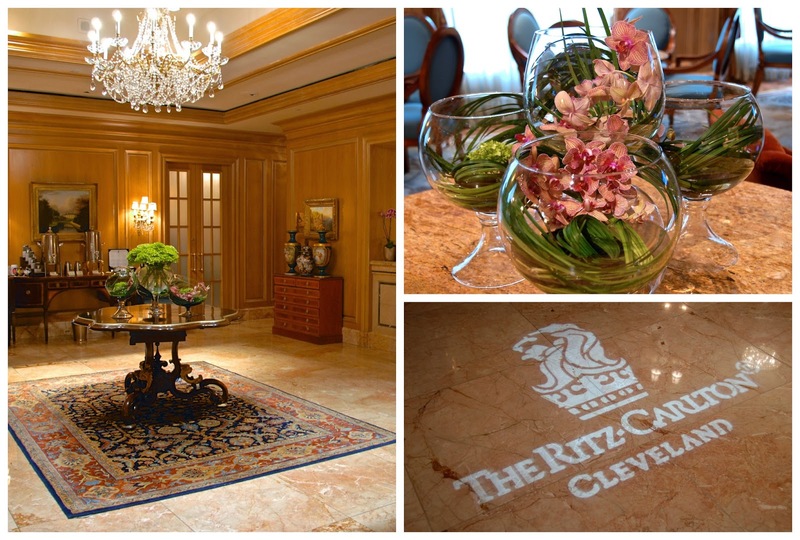 Disclosure: The Ritz-Carlton Cleveland provided us with three evenings of hosted accommodations – including admission to their Club Lounge. The Rock and Roll Hall of Fame and Museum invited us to attend Rock Jam, and they provided complimentary museum admission. Finally, Dante and Urban Farmer provided us with hosted dinners to facilitate inclusion in this article. All photographs are copyrighted by Michael K. Garcia and may not be copied or otherwise used.